Get fired up and relive the epic adventure from How to Train Your Dragon: The Hidden World with the Toothless wrist launcher! Simply connect the ends of the adjustable wristband snugly around your wrist so Toothless rests on top of your arm. Load the three, dragon blast foam darts-one on each side of his body and one in his mouth. 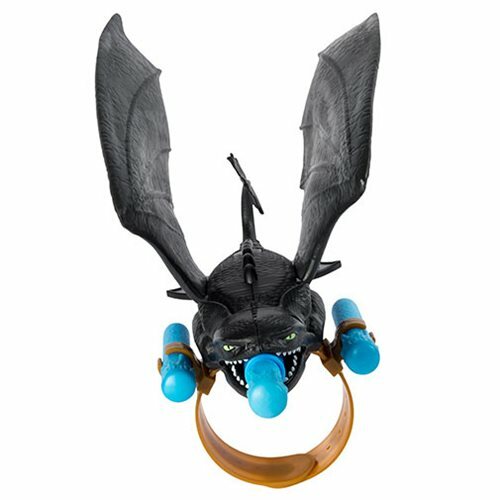 Now you're ready to swoop through the skies and explore new worlds with your loyal partner, Toothless! At any sign of danger, soar into battle and unleash a dragon blast by pushing the button on his back. Reload another foam dart in his mouth and fly in for another fiery attack! Together you can save the day! 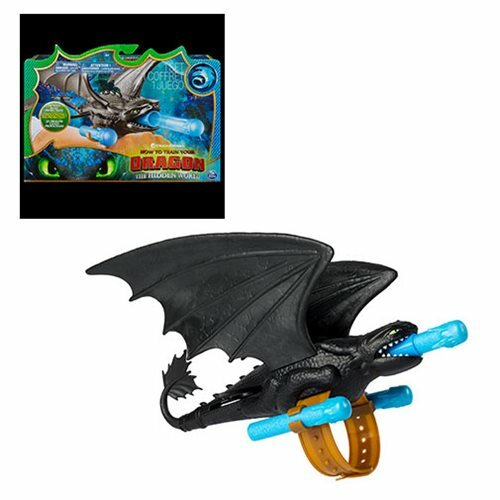 The How to Train Your Dragon: The Hidden World Toothless Wrist Launcher is the perfect roleplay accessory for kids and dragon trainers!